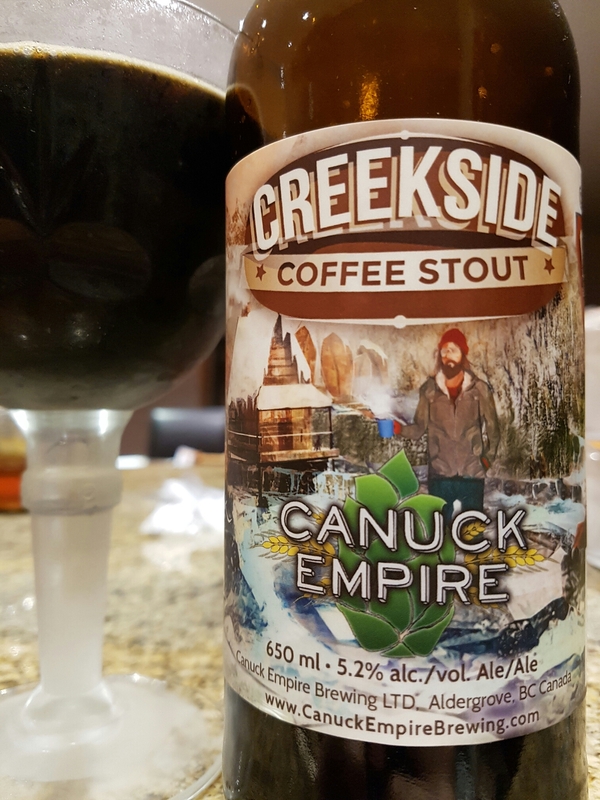 Creekside Coffee Stout – Canuck Empire Brewing (Aldergrove, BC, Canada) | Justintoxicated. Visual: Pours dark coffee brown without a significant head, very thin ringed retention with a couple of small islands, barely visible slow steady micro streams. 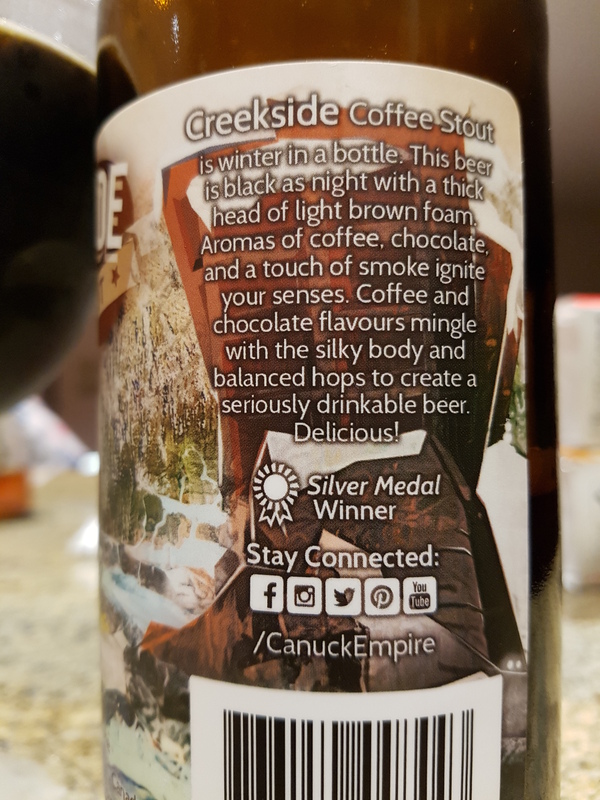 Summary: A good balance of sweet roast and bitter coffee that isn’t too overbearing. The lactose and brown sugar help round it out, but I find the entry-mid palate feeling thin in the mouth. 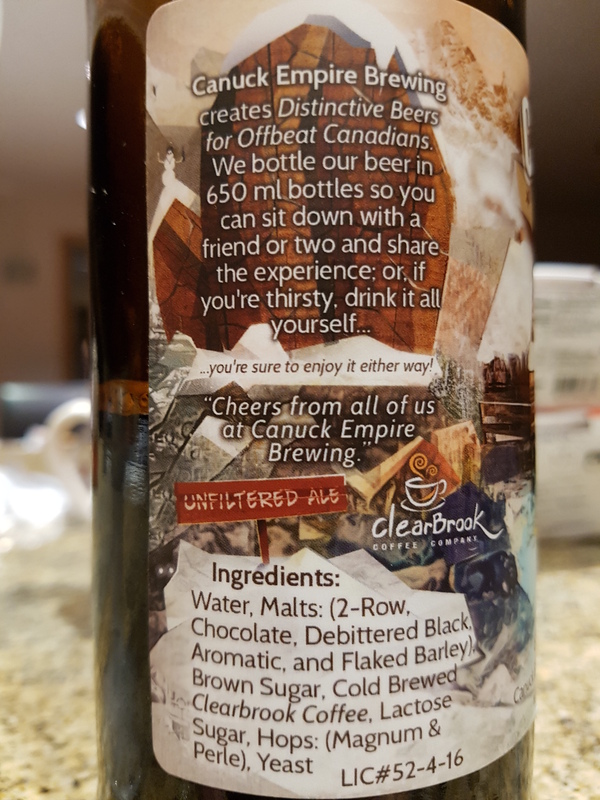 Sippable but forgettable.